Here you go: the cream of this month's releases, in graphic novels. PICK OF THE MONTH: Weapons of Mass Diplomacy by Christophe Blain and Abel Lanzac, Self Made Hero: Any year in which a Christophe Blain comic is given an English language translation is a good year indeed for comics. 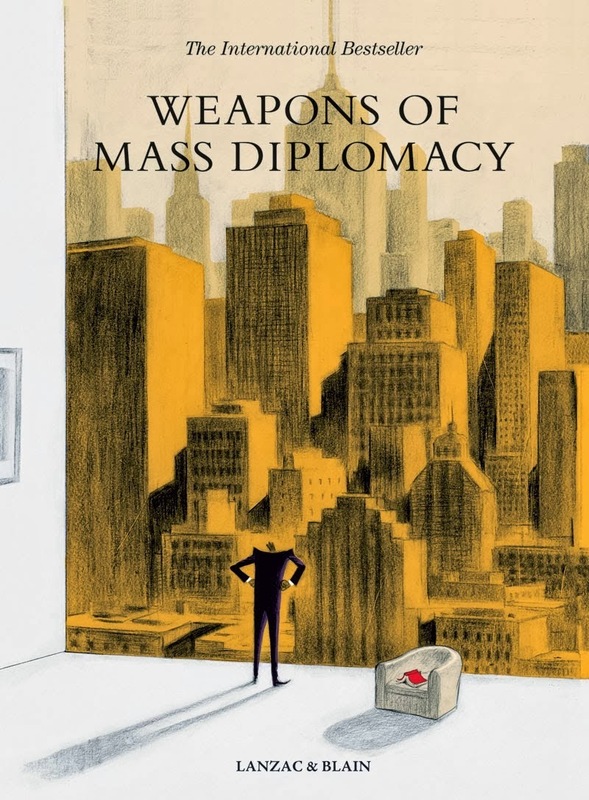 Last year, Chronicle Books released the criminally overlooked In the Kitchen, so even if you've not heard of Blain before, pick up Weapons of Mass Diplomacy and marvel at his cartooning- the fluidity, movement, expression, the lovely lines. Weapons of Mass Diplomacy is a quasi-autobiographical account of Antonin Baudry's (under the pen name of Abel Lanzac) time as a former speechwriter and advisor to French prime minister, Dominique de Villepin, showcasing again Blain's ability to collaborate and move from genre to genre- pirates, cook-book memoirs, westerns, political satire. Originally published in 2 volumes in French. both are collected here in this complete hardback edition, and you can view a more extensive preview here. A word, too, for the superb year British publishers Self Made Hero are having; the quality of their releases has been outstanding, from original works like Celeste, The Cigar who fell in love with a Pipe, to acquiring translation rights for this, and distribution rights to Bryan Lee O'Malley's upcoming Seconds. Sunny vol 3 by Taiyo Matsumoto, Viz Media: The third volume in Matusmoto's beautiful, heart-squeezing tale centred around a group of children at a foster home, and the broken down car -'Sunny' in which they enact their dreams and frustrations. What makes Sunny unique is the presentation: unvarnished, no deliberate emotional pulls, the characterisation and individuality of each child, and Matusmoto's arresting art: manga pulled into a more realistic vein- yet often slightly odd and surreal-looking. 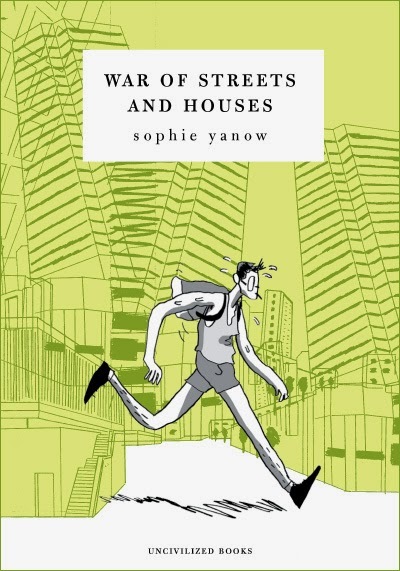 War of Streets and Houses by Sophie Yanow, Uncivilized Books: Alec wrote an advance review of Yanow's recollection of the 2012 Quebec student strike in Montreal. War of Streets and Houses is named after General Thomas Bugeaud's 19th century essay; the first manual for the preparation and conduct of urban warfare, and here Yanow explores connections between urban planning, social change and military strategies. This is a book I've been looking forward to reading- with Yanow offering comics something fresh, and a new angle on the politics of people, places and power. 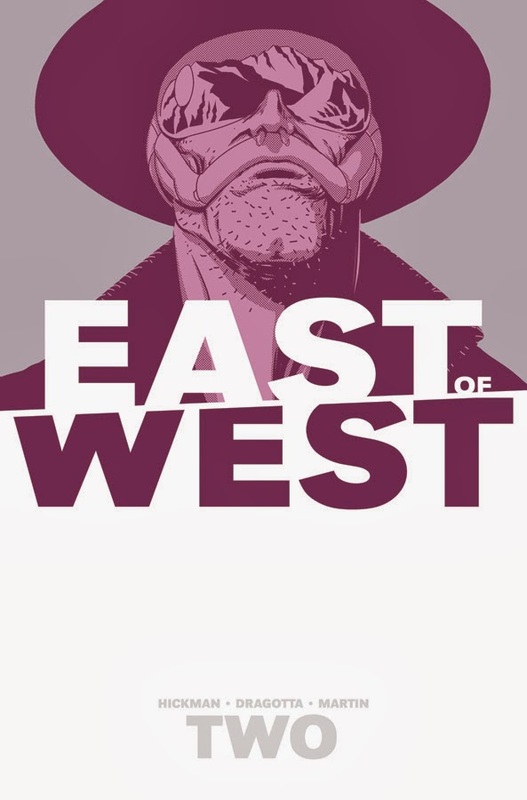 East of West by Nick Dragotta and Jonathan Hickman, Image: I'm a notorious serialisation shirker- it's simply not the format I prefer to read in, but Nick Dragotta and Jonathan Hickman's sci-fi/religious end of times western has proved so good, I've been picking up the issues. The themes, as ever, age-old, the four horseman of the apocalypse re-born in the guises of children, missing their brother Death, who went rogue, fell in love and fathered a child. Admist this, there are various players- a dictatorial religious regime, kingdoms in space, all exquisitely rendered by Dragotta in a serene manner. I'm not explaining it very well, but pick up the first book if you're at all curious- I don't think you'll be disappointed. 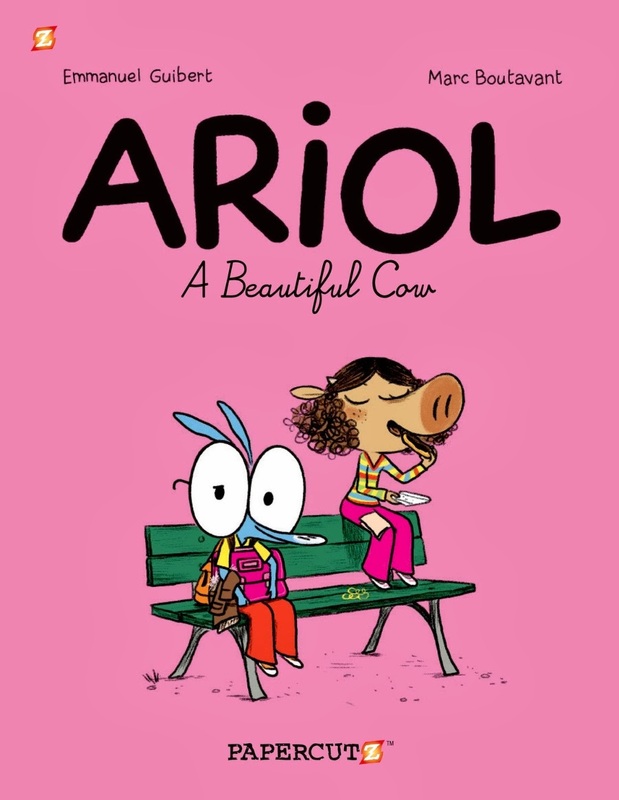 Ariol: A Beautiful Cow by Emmanuel Guibert and Marc Boutavant, Papercutz: Uber grateful to Papercutz for continuing to translate these fantastic adventures of Ariol, the little blue donkey and his friends. It's anthropomorphic, with lovely personification of animals, duck, pigs, horses etc, but the kids are just kids, getting up to all sorts of shenanigans, asking problematic questions, dishing out overdoses of frank honesty, and generally being cute and delightful. A truly excellent kids comic that's accessible to all, and that we're lucky to have available in English. If you want to know a bit more, author and cartoonist Gary Northfield wrote a brilliant review of one of the books here, with page excerpts. Alone by Fabien Vehlmann and Bruno Gazzotti, Cinebook: After Beautiful Darkness, here's another Fabien Vehlmann penned book, illustrated by Bruno Gazzotti and it looks so good- check out a couple of pages here. The great thing about Cinebook is that they publish their books in the original French album size, and I'm assuming this will be no exception. 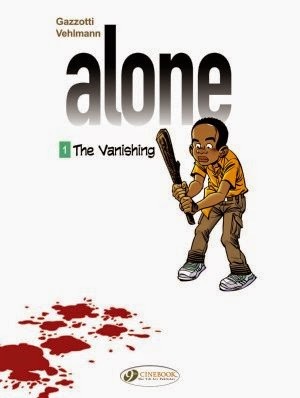 Alone follows five kids- Ivan, Leila, Camille, Terry, Dodzi, all of who live in the same city but have never met each other, until they wake up one day to find everybody gone- no adults, no other children; just them. had my eye on this one- think it's flew under the radar a little, but Vehlmann's always an interesting writer, and Gazzotti's artwork looks sublime. Another fab option for slightly older kids. Celeste by I.N.J. 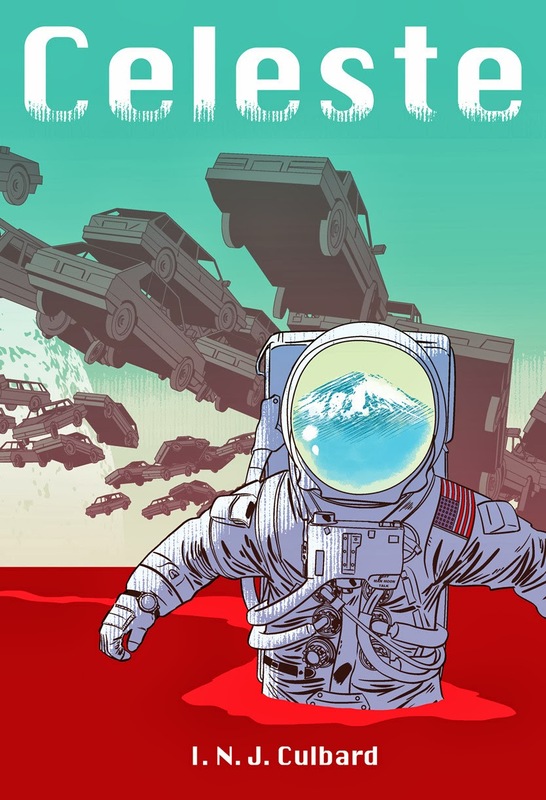 Culbard, Self Made Hero: The first original graphic novel from artist Ian Culbard (The Mountains of Madness, Brass Sun), Celeste is a sci-fi tale, with 3 narrative strands following the lives of characters around the globe: Japan, London, Los Angeles, as strange occurrences unfold. You can read a little more about it and view a preview here.